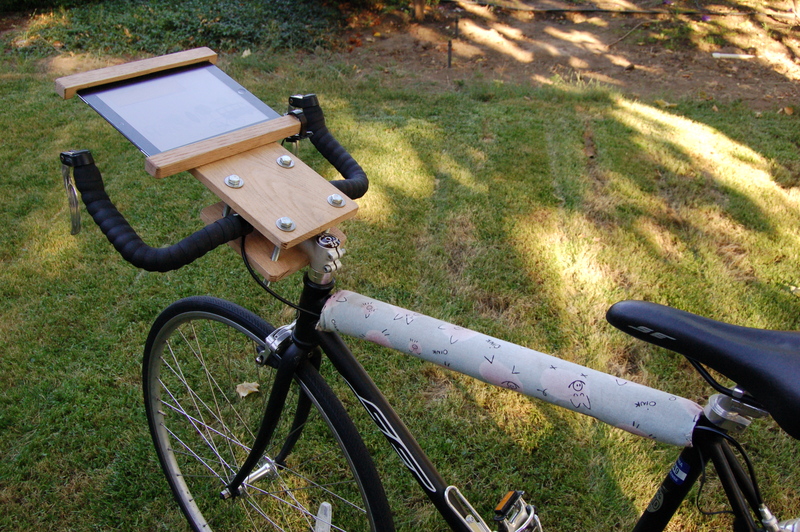 The final prototype is a stationary bicycle, equipped with a 4.5-minute iPad interactive animation. 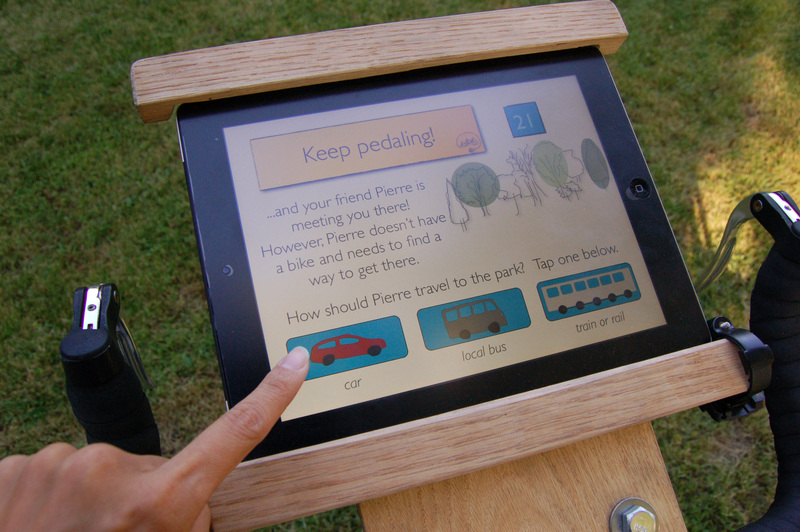 The instructions direct the learner to pedal while completing simple tasks of choosing a form of transportation for a friend “Pierre” and pedaling enough to get to the park. The rpm’s are measured via a mechanical sensor, converted a digital number, then calculated as a quantity of energy in kilowatt-hours (kWh). The kilowatt-hours are the input for determining the size of the graphical cube shown on the iPad, one-third of the way through the interactive. From there, the personalized and unique cube acts as a standard of comparison for additional comparisons made between the energy consumed via pedaling, the energy consumed from Pierre’s choice of transportation, and the energy consumption of common household items and devices. The project attempts to explain energy and energy comparisons through a graphical representation of the person’s energy production — via the effort-filled action of pedaling. This becomes an embodied unit, tied directly and uniquely to the person’s exertion where effort is now represented in a non-abstract way. It utilizes scale. The graphical cube is a standard of comparison, and everything is scaled to it. Someone else’s cube might be bigger; other appliances might requires 3-700 times the number of cubes. 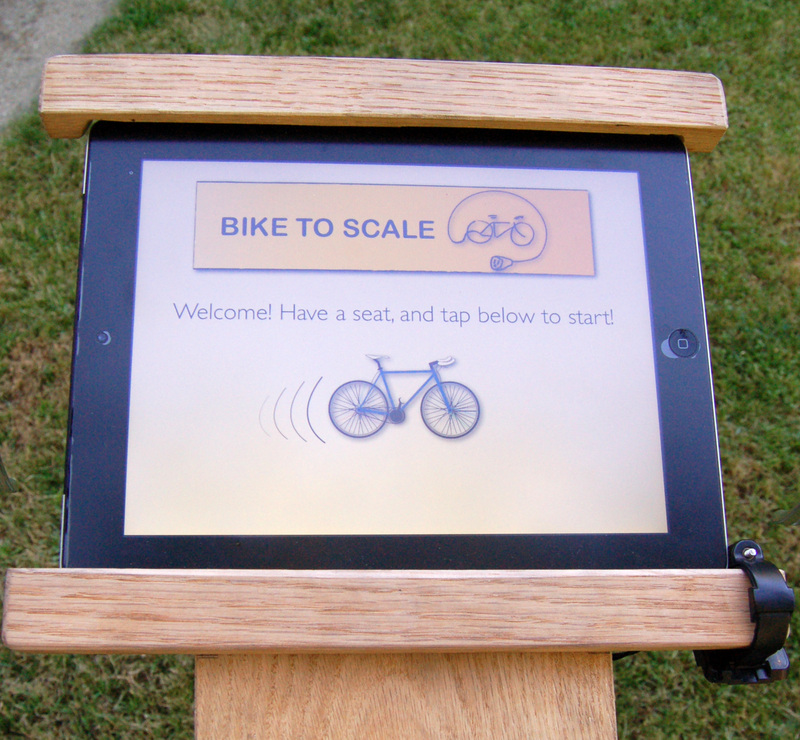 The design is meant for a public audience, located in parks or on sidewalks. It invites the general public to take part, in a fun, non-intimidating way, in learning and developing interest in science and energy. These prototypes, ideas, and iterations were critical in helping develop the idea and more important, focus it. They still exist as potential additions and details for the future.